Saying goodbye to Pacific City and glorious Pacific Beach, we continue north on Highway 101. 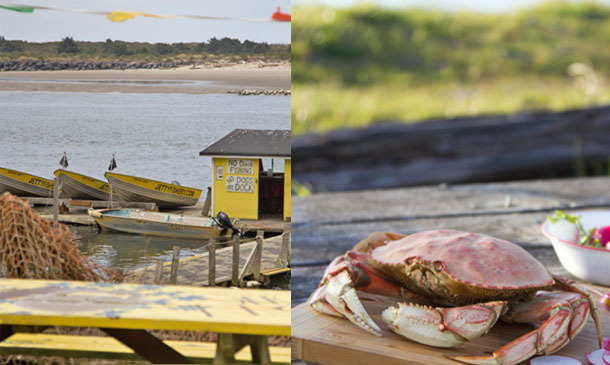 This morning we head to Rockaway Beach, approximately 40 miles from Pacific City, to experience some fantastic Dungeness crabbing at Jetty Fishery. “You can’t miss it. Look for our Yellow Volkswagen Bus out front,” said Shirley, owner of Jetty Fishery. Not long after I hung up the phone with Shirley, I spotted that yellow bus she mentioned. “There it is!” I said, pointing as we drove along Highway 101. Shirley was right. It was impossible to miss and we were so happy to be here. 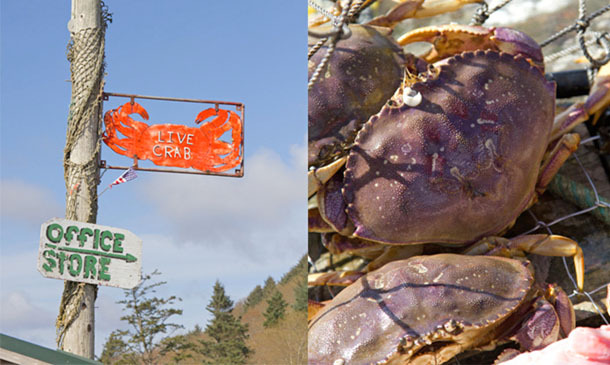 The sun was shining on this special day, and we were so excited to do some crabbing here. I couldn’t believe my eyes. Where has this place been all of my life? 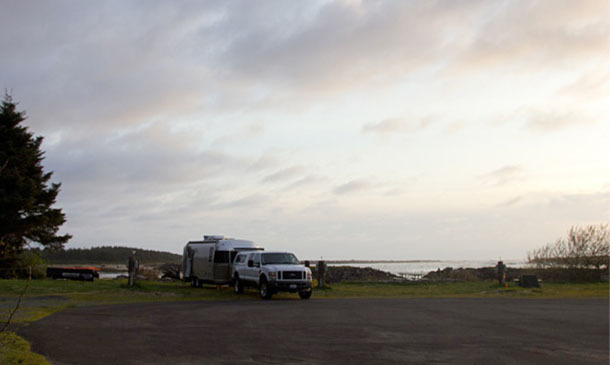 Located directly across from Nehalem Bay State Park, we were greeted with some of the most peaceful sweeping views of the bay, and the spots for camping were complete with the same. This place was happening! Sun shining, happy people and families galore were sitting on the picnic tables enjoying their fresh catch, which I soon learned was cooked right on the spot. 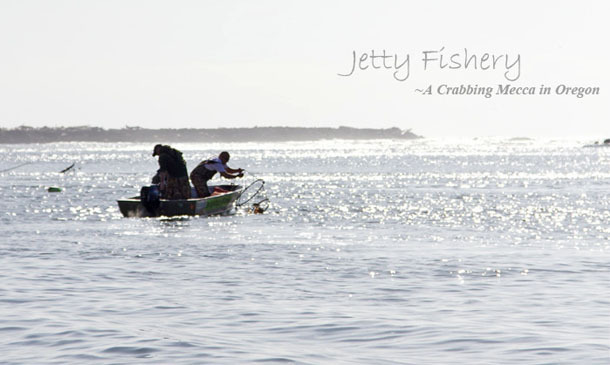 If you catch it, Jetty Fishery will cook it! Didn’t catch anything? No worries! 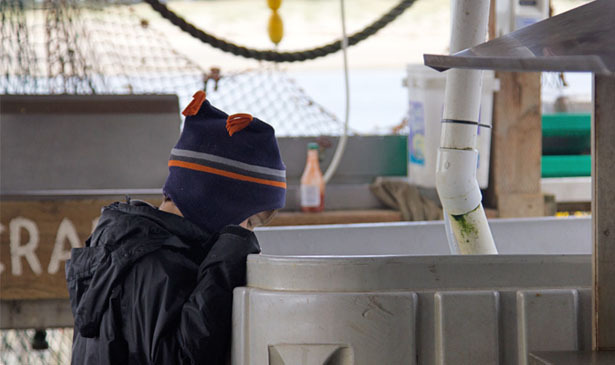 Here you will find huge saltwater tanks filled with crabs, oysters and even clams, if your heart so desires. 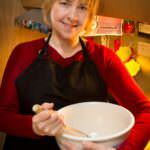 An on-site general store offers souvenirs, select groceries and sundries should you have forgotten to bring anything along. Josh, one of the friendly kind who run Jetty Fishery, got us loaded onto our boat complete with simple instructions on how to operate it. Funny guy that Josh was — I’ll never forget him. “Don’t forget to take a break and visit the beaches across the bay at Nehalem State Park,” he hollered to us as we motored off. I’m so glad he mentioned that. We dropped our crab rings and did just that – took a break on the sandy white beaches of the park located right across the water from Jetty Fishery. Around us were people and families doing the same. They were enjoying walks along the beach, soaking in the sun and digging for clams. “I could spend an entire week here,” hubby mentioned to me. “Me too, Mommy!” B exclaimed. How happy he was here – such a perfect place for children. 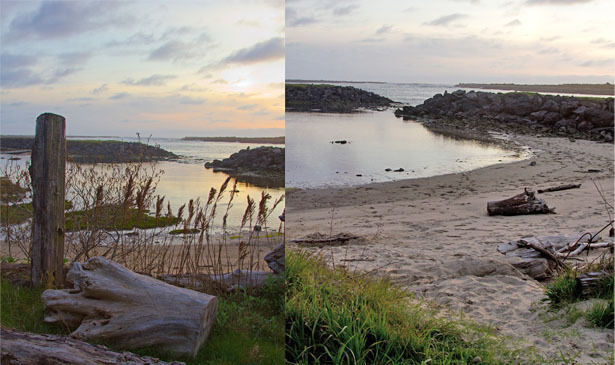 Here at Jetty Fishery, you will find a protected nature-made beach playground for children. At high tide, the seawater flows in from an opening in the rocks and creates many shallow pools. The sun then warms up the water, making it an ideal nature playground for children. Bradley had the absolute time of his life. If you do come in the summertime to camp or stay in one of the cabins, be sure to make reservations a good week to 10 days beforehand as spots fill up quickly. 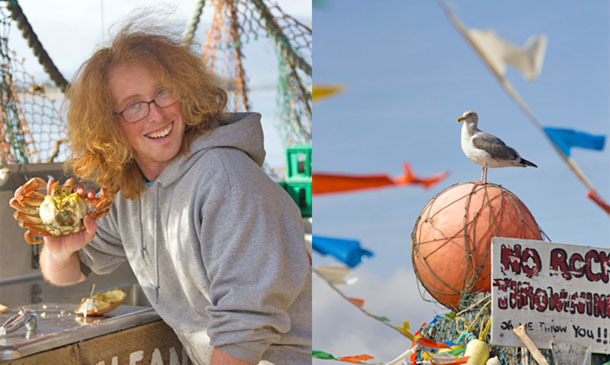 Thank you, Jetty Fishery, for the memories. We can’t wait to come again; it was truly an experience we will never forget! Editor’s Note: this is part of a five-part series about Monica’s recent Oregon road trip. Read more of her stories here.